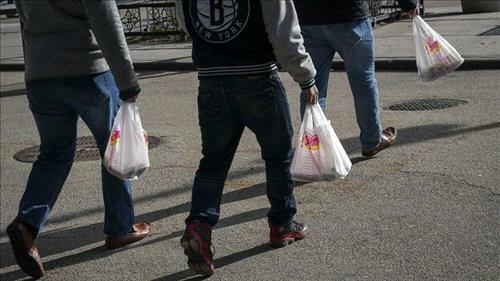 AMMONNEWS - After several failed attempts, New York state is poised to ban single-use plastic bags provided by stores, making it only the second US state, after California, to pass such a rule. If the bill passes, the ban on single-use plastic bags -- which still allows for several exemptions -- would take effect in March 2020. Despite plastic’s notoriously harmful impact on the natural environment and on wildlife, few American states -- with the exception of environmentally-minded bastions on the West Coast -- have pursued legal restrictions. They are banned in much of Hawaii, since that state’s most populous counties now prohibit their use.